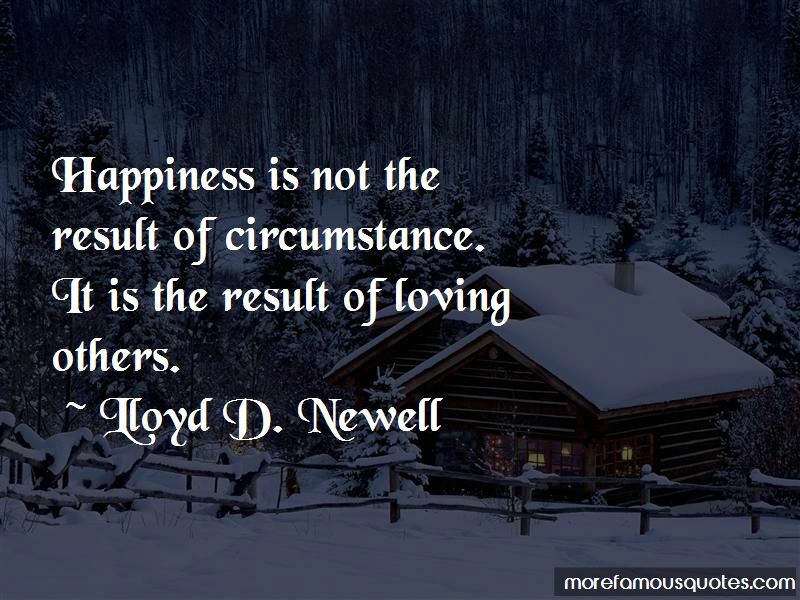 Enjoy the top 9 famous quotes, sayings and quotations by Lloyd D. Newell. Such simple and steady acts of kindness are the essence of love, the substance of life. All of us need love; all of us want love. Everything else is a consolation prize. What matters is love. Meaningful relationships are worth more than hundred-dollar trees, and they deserve all the time, effort, and energy they need to become strong and beautiful. 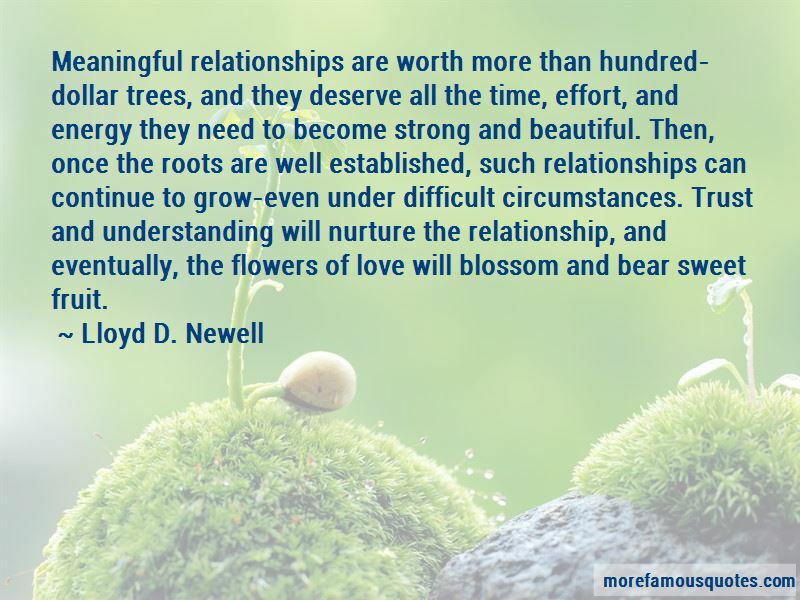 Then, once the roots are well established, such relationships can continue to grow-even under difficult circumstances. Trust and understanding will nurture the relationship, and eventually, the flowers of love will blossom and bear sweet fruit. 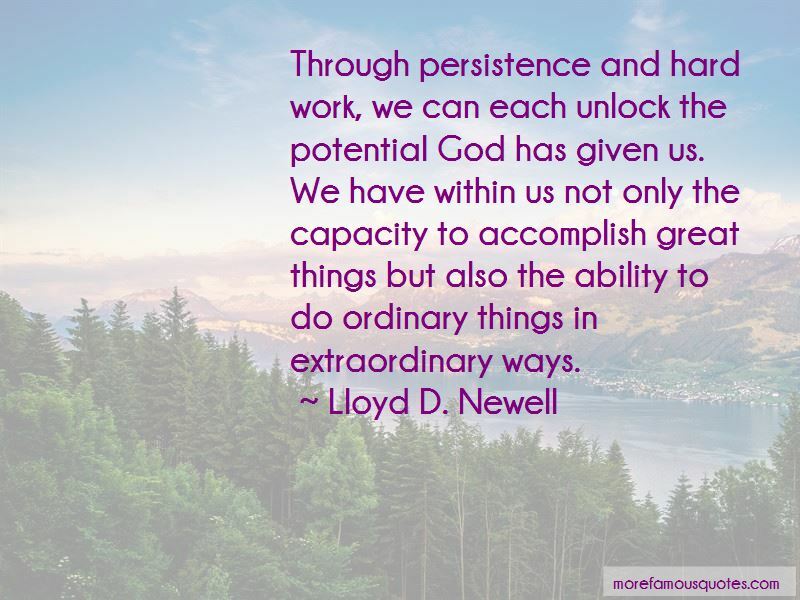 Want to see more pictures of Lloyd D. Newell quotes? 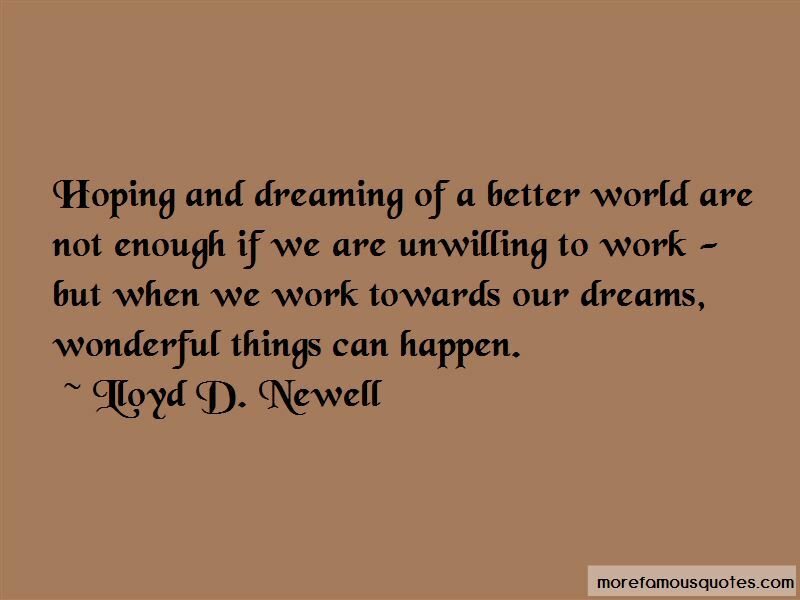 Click on image of Lloyd D. Newell quotes to view full size.